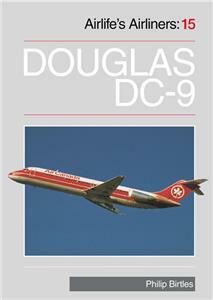 Douglas announced the launch of the DC-9 programme in April 1963. At that time its main competition was the British built BAC 1-11 which had already secured an order from American Airlines. The Douglas company was familiar with the rear-mounted engine concept because they had worked with the French company Sud-est to market the Caravelle in the USA. Rear-mounted engines were popular with passengers because of reduced noise levels in the cabin, popular with airlines because of ease of engine maintenance and with designers because it allowed wings free of engine clutter. The design proved to be remarkably successful, having been adapted into many variants and stretched almost beyond belief. Unfortunately, the Douglas company was not as successful at financial management as it was at designing and building fine aeroplanes and after amalgamating with McDonnell, it has been swallowed by its former rival Boeing. What is probably the last descendent of the DC-9, now revels in the title Boeing 717.